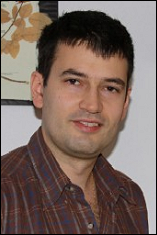 One of MC2's most recent hires, Dr. Tudor Dumitras along with co-author Dr. Leyla Yumer, was awarded honorable mention in NSA's "Science of Security" best paper competition. The paper involved research in large data analysis on cybersecurity attacks to understand the lifecycle of zero-day vulnerabilities. In the paper titled, "Before We Knew It: An Empirical Study of Zero-Day Attacks in the Real World," Drs. Dumitras and Yumer use data fusion analysis, tackling large scale data sets to measure cyber attack behavior. This careful measurement of attack behavior could be used in the U.S. government's efforts to protect systems from such attacks. Congratulations to Dr. Dumitras and Dr. Yumer! Read more about this award on the NSA website.